No new games today, and no updates to previously released ones as well. I simply thought that the time had come to update the "old" website by making it fresh and minimal. The previous layout was designed 14 years ago, and it made extensive use of the old "frameset" style. It was very out of fashion after all! The style is minimal, the logo is also minimal and the name is even more minimal: I shortened it to simply "MADrigal's Simulators". The previously available contents are still there, but I still have to import the pieces of news from 1999 to 2012 into the new layout. I'll do that sometimes soon - probably in a month or two. 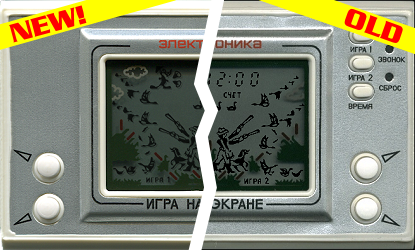 I'm releasing a new, completely redesigned version of a not-so-popular handheld, which is a great one indeed! 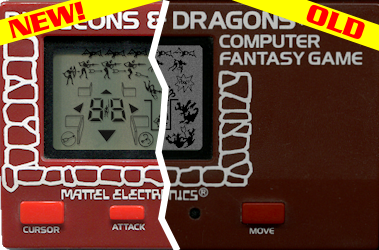 An LCD version of the classic game for Intellivision: Dungeons & Dragons! Get them from the popular downloads page. And big thanks to Rik Morgan of Handheld Museum for providing scans from the instructions manual! One more simulator has just been updated to the "Standard 4", and again it's yet another true classic electronic game... probably the most classic game of all: Pac Man! Get them from the usual downloads page. Thanks to my long time friend Rik Morgan of Handheld Museum for providing great pics of the actual game! Yet another update to "Standard 4" to a previously released simulator. 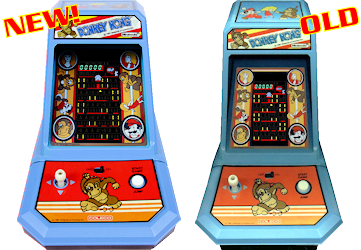 This means graphics at higher resolution, bug-fixes, complete and larger instructions manual, full compatibility with MAME-cabinets and more. Today's game is a true classic: Donkey Kong (Coleco). Get them from the usual downloads page. Enjoy! Very nice updates today. 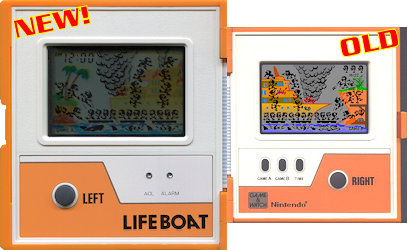 There's another Nintendo game being updated to the most recent "Standard 4": Lifeboat from the popular Multi Screen series. Get the two new files and the popular MADrigal CD Collection ver. 57.9 from the downloads page. Enjoy! I'm still updating all the "old" simulators, bringing them to the most recent "Standard 4". 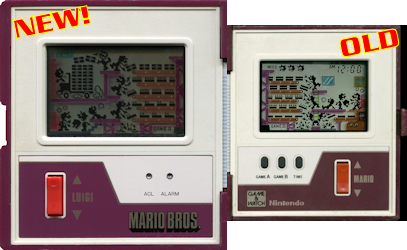 Today is the day when the classic among the classic game is being updated: the Mario Bros. dual screen game! It's yet another "complete rewrite" of the source code, featuring better graphics, compatible with MAME-cabs, better input management, etc. Jump to the usual downloads page to grab the archive and the newest MADrigal CD Collection ver. 57.8. Don't miss them! 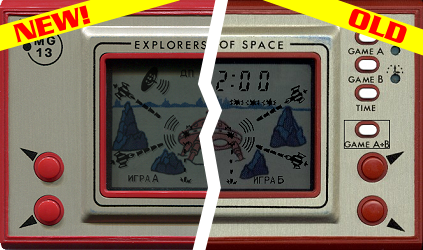 I spent the past week rewriting the full source codes and designing more realistic graphics to a few previously released handhelds simulators I really love. I strongly recommend you to download the new files, because the improvements are so many... you'll think you're playing the real games! The games and the newly released MADrigal CD Collection ver. 57.7 are available for download from the popular downloads page.